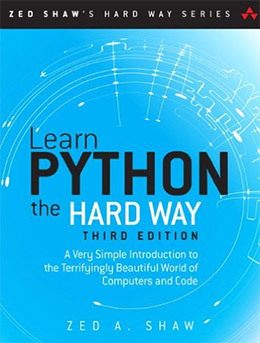 Getting into Python doesn’t have to be a challenge and if you use the right books it can even be fun! That’s why I’ve curated this massive list of the best Python books to help you move from a newbie to a skilled developer with ease. If you’re brand new to Python and programming then I recommend Murach’s Python Programming. It’s definitely a larger book but it gets into the details of Python using clean examples and plenty of exercises. 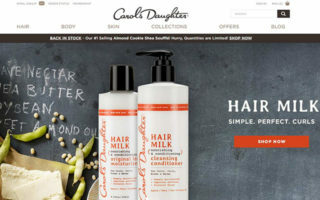 Through this process you’ll learn everything from basic variables to OOP and a lot more. 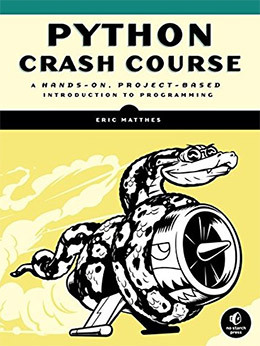 In Python Crash Course by Eric Matthes you’ll find a thorough yet fast-paced introduction to the Python programming language. This book can work even for younger kids and high school students who want to pick up the basics of programming from scratch. This covers very little theory and goes right into the action. Most of the time this can be challenging but Eric has a way with writing that just makes sense. You’ll learn about the fundamentals and basic features of Python like lists, classes, loops, and basic functions. This comes with many exercises scattered inbetween and tons of examples you can follow along with. The writing style is also quite simple which makes this a brilliant option for complete beginners without any coding experience. If you’re looking for a solid uncomplicated intro to this very deep language I have to recommend a copy of this book. Python Programming: An Introduction to Computer Science takes an ever deeper look at Python by explaining the language for beginners who want to actually understand programming. This book’s author John Zelle doesn’t mince words but he does know just the right words to connect with newbies. This is often a problem of many programming books where the author’s higher skill level makes it tough to connect with people who don’t understand. But in Python Programming you’ll learn the fundamentals of loops, functions, variables, classes, and how all of these ideas fit together in a practical sense. The best thing about this teaching style is how these lessons are applicable to everything else you ever study. Every programming language has variables, loops, and similar features. If you learn their purpose you’ll have a much easier time putting them together in code. If you’re a newbie who wants to truly understand programming then this book is a must-have. It’s the best place to start to avoid confusion and walk away with a newfound sense of confidence in coding. Need a massive compilation of everything Python? Then you’ll want to take a look at the 1,600 page tome of information that is Learning Python. Yes this book is insanely long. However much of the book has a nice split between writing and code samples that make it easier to work through. 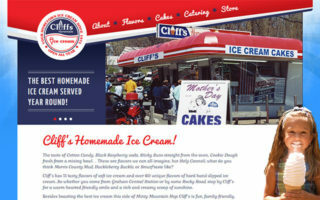 The samples are well-written and they’re easy to read no matter what your experience level. Just note this book is very technical and really reads like a Python manual. It’s not an easy thing to pick up and dive into, although all the information is absolutely correct. It just depends on your learning style and how much you already know about programming. Much of the early chapters cover very basic topics like how Python works and how to run applications. 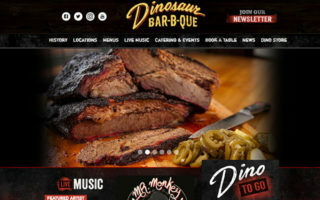 If you’re past that stage you can always skip ahead to get into the meaty stuff. Learning Python is a brilliant reference guide for one of the best programming languages in the world. It’s also very meaty so if you’re looking for a comprehensive guide with detailed explanations then give this a shot. 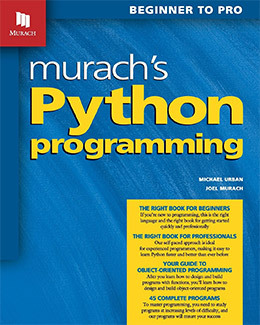 One of the newest and most up-to-date books in this list is Murach’s Python Programming. It’s also a fairly large title with about 600 pages and a few dozen chapters covering functions, modules, I/O contents, and debugging. Some of the best lessons in this book are the ones on testing and debugging. 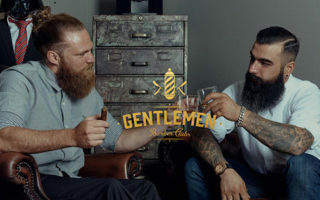 It’s a huge topic and there’s so much to learn, but Murach’s teaching style is exquisite so it should connect with readers of all skill levels. There’s also a large chapter on OOP where you’ll learn the differences between functional programming and object-oriented programming. This is a big deal with Python and it helps you design your own applications going forward. Each chapter ends with specific exercises to help you practice what you’ve learned and put those ideas into action. If you’re not sure where to start with Python’s overreaching language this book can take you well into intermediate-level coding. 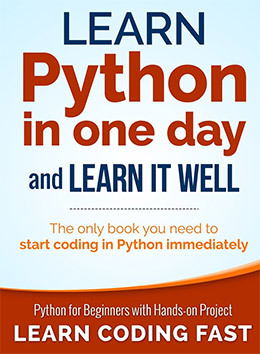 Yes the title is a bit of a misnomer but Learn Python in One Day offers some real value to your average programmer. It’s a very short book with only 125 pages so you can’t expect much from this title. It’s mostly just a very short introduction to Python by keeping the learning process simple. This is not one of the first books I’d recommend unless you really do not understand programming. 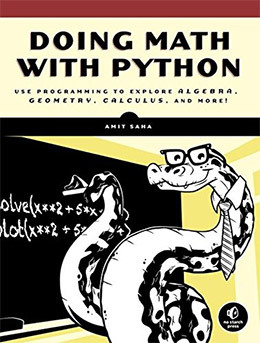 If you’ve struggled with tons of other books and still don’t get Python then consider picking this up. Just be warned it’s definitely a limited resource so it will not go into very much detail. You’ll need to fill this in with your own research but it does offer a reasonable starting point for newbies. There are many different ways to write code, but the best code should be easy to read and edit. Most beginning coders don’t consider this but it’s something you’ll eventually want to learn about because it’s crucial for real-world projects. 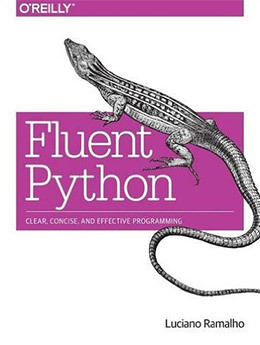 Luciano Ramalho’s Fluent Python: Clear, Concise, and Effective Programming is a stellar title with almost 800 pages of learning resources and clear exercises. This is not a beginner’s book so it does require at least some knowledge of the fundamentals. However you can be a semi-experienced beginner and still get through these lessons. They cover a lot of topics like duck typing and class decorators, both of which are crucial to write clean simple code. The level of depth and clarity of this writing is beyond belief. For such a complex subject Luciano really knows how to flesh out ideas and present them in crystal-clear writing. 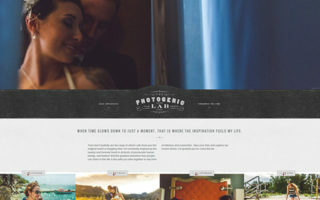 No matter what your skill level there’s something here for everyone so I do recommend checking it out if you’re curious to clean up your workflow. 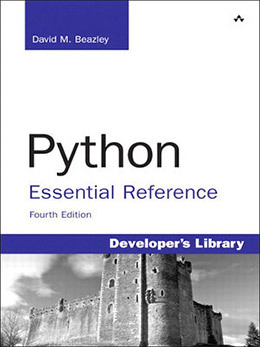 As reference guides go the Python Essential Reference book is fantastic. This focuses on two main topics: the Python language and the Python standard library. It’s one of the clearest reference guides for everything Python 2.x and 3. Each chapter shares a bunch of code snippets to illustrate how certain features work and how you can apply them in the real world. You should already know a bit about Python before grabbing this reference, although you don’t need to know much! The writing style is terse but still readable no matter what your skill level. And the code snippets are incredibly reliable so this is a book you can reference for years to come. 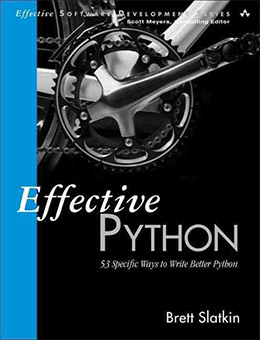 If you’re hoping to up your Python game to the next level take a look at Effective Python: 59 Specific Ways to Write Better Python written by by Brett Slatkin. You can do so much with this language and everyone has a slightly different style of coding. This book can help you realign your coding standards to create more robust, extensible, and easy-to-read Python scripts. Brett has years of experience working with Python and he uses this book as a way to showcase smaller idiosyncrasies you’ve probably never noticed in the language. Each chapter uses code snippets to illustrate the different techniques and how they’d apply in the real world. Ultimately the key is efficiency and building code that runs well. 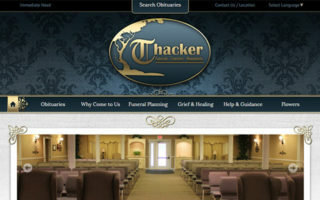 No matter how large your application you can always improve it more. But knowing where to focus your time is how you’ll see the biggest growth. Some of the many topics you’ll learn about are algorithms, custom objects, concurrency, working with modules and a whole bunch more. Once you nail down the fundamentals of Python you may be looking for the next step. Anyone serious about coding in Python should look towards OOP practices. 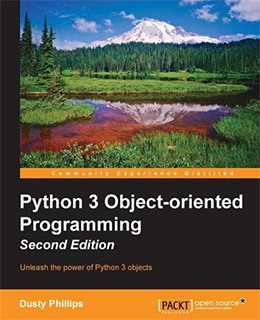 With Python 3 Object-Oriented Programming you can learn everything you’ll need to know about Python with dozens of practice examples and code snippets to work with. This book shows you how to create classes and build objects using an OOP approach. But you’ll also learn how to extend other classes to add your own functions/objects into the library. This is common practice with most open source scripts and it’s something you’ll need to learn on your journey to mastering Python. Even if you’re a complete beginner with little-to-no experience this book might surprise you. The writing style is simple enough that anyone can follow along, not to mention OOP is a big topic in most other Python books as well. 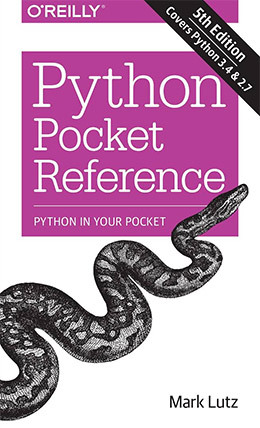 For a small desk reference or a tiny learning resource the Python Pocket Reference is a great book to have in your collection. This thing is pretty small measuring only 4″ wide. But the index is nice and easy to browse which is exactly what you’d look for in a pocket guide. It covers Python in enough detail that you’ll be able to find almost anything you need. Just look up whatever functions, objects, or syntax you need to solve any problem in your project. This is especially nice when you’re out working on a job or traveling and you don’t have direct Internet access(hell on Earth). The information is all up-to-date and these solutions should work even on the newest version of Python. This is also small enough that you can keep it in your laptop bag without sacrificing much space. A great addition for Python enthusiasts who like these smaller reference books. Working with big data often includes a lot of stats and analysis. Programmers typically study mathematics to apply logic into algorithms with their own equations. In the book Doing Math with Python you’ll learn how to write scripts that work with topics like statistics, probability, and calculus. Early chapters start with very basic ideas of quadratic equations and slowly move into more complex ideas. If you can get past the early chapters you’ll soon realize why math is so important for programming. This book covers a range of exercises that fit into practical projects where you’ll need to pull data, analyze it, then display it using visuals. You’ll also learn how to work with derivatives and how to process probability based on a set number of variables. Python can help you automate so much if you know how to do the math right. Just note you should have a very simple understanding of mathematics, if not a more detailed working knowledge, before grabbing this book. If not you’ll feel lost trying to learn the equations along with the Python code. One of the primary goals of the Python language is simplicity. It’s meant to be a very simple and readable language so your code should reflect that. 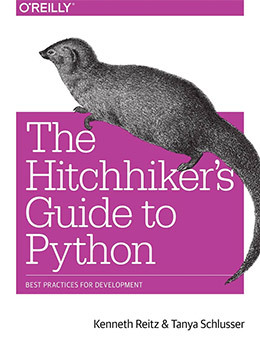 If you don’t feel like your code is up to par check out The Hitchhiker’s Guide to Python by Kenneth Reitz and Tanya Schlusser. In truth this book was written by hundreds of contributors from the Python community who share their tips, ideas, and strategies for writing clean Python code. This is a guide to help you get back on track with Python by writing clean projects that make reusability a breeze. Early chapters talk about your dev environment from IDEs to container tools like Docker. Later chapters teach you how to write and read great code, and how to follow procedures from other libraries like Flask. You should already be familiar with Python before grabbing this book. However you don’t need to be an expert, and in fact the whole point of this book is to help you get there! If you learn best from practice and exercises then you’ll really enjoy Learn Python the Hard Way. Don’t let the name fool you; this book is rather simple to read. But it’s also a technical manual with 50+ different exercises that slowly increase in difficulty. The goal is to teach you how to write clean software, how Python code works, and how to analyze problems before you even type a single character into your .py files. Each chapter gets progressively more difficult introducing techniques that most professional coders use in their work. You’ll learn about program design, data structures, OOP, inheritance, and a bunch of similar concepts. Towards the very end you’ll learn about Python for web development and game development, two popular subjects that most coders are frothing at the mouth to understand. Taking this approach will be “harder” in the sense of more work. But the best way to learn is to put in the effort and this book will help you through the whole process. Many popular websites have their own APIs where developers can pull data in JSON or XML, then parse that data to display on their own site. Facebook and Twitter are two examples but there are many others. 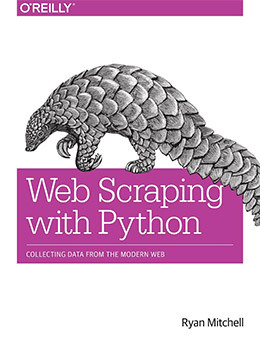 Web Scraping with Python goes beyond simple API calls by helping you create true web scrapers. You’ll learn how to parse HTML code with Python and how to pull any data you want from any webpage. 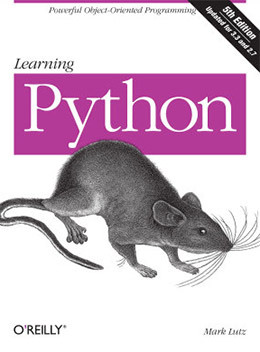 This is one versatile book and it goes to show just how much you can do with Python. It’s an ideal read for intermediate-level developers but even beginners could start here and try learning the fundies along the way. It’s tough finding cookbooks that are worth the money. 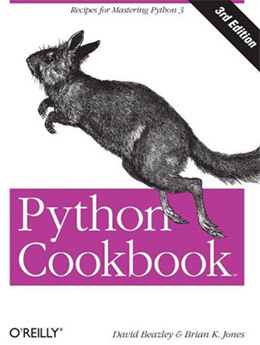 But the Python Cookbook is an excellent resource for any developer and it’s fully updated with all code samples tested in Python 3.x. You’ll find varying recipes ranging from the absolute basics of the core Python language to more detailed tasks like metaprogramming and concurrency. This includes network programming and testing/debugging large codebases. Chapters are very well-written with an easy to read “plain English” approach to teaching. You can look through the index to find whatever you need and the code snippets are simple enough to copy for your own projects. This book spans a huge quantity of material that almost seems endless. It’s one of those rare code cookbooks you can buy, keep on your shelf for years, and it’ll still be relevant many years down the line. 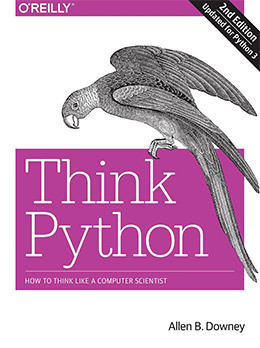 I enjoyed the Think Python book from O’Reilly along with many other skilled Python coders out there. But you actually don’t even need to go out of your way since the title is available online in the public domain. Now if you’re someone who likes print copies I do recommend buying one. It helps support the publisher and it shows how much demand there is for similar topics. This is one of the simpler guides to Python scripting that’ll take you from a novice to an adept coder in no time. It’s also one of the best resources for intermediate-level Python coders to pick up a few gems later in the book. Since this is very much an exercise-focused title you’ll need to put in the work writing code to see the results. But this should be no trouble if you’re adamant about mastering Python. I recently covered a bunch of books on machine learning and explained how it’s a rapidly advancing industry. Python is one of the best languages you can use for machine learning and the current race to AI development. Introduction to Machine Learning with Python is incredibly detailed and fairly new to the market. 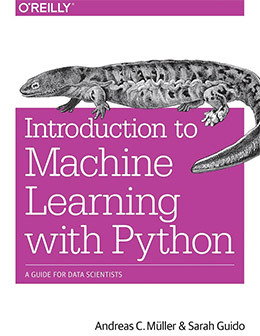 The first edition clocks in at just under 400 pages and it covers everything you’d need to know about Python and basic machine learning concepts. 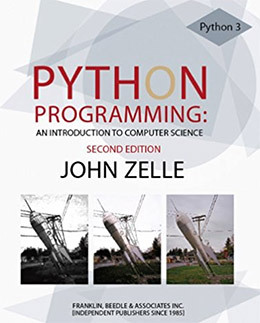 This makes it a pretty decent buy for beginners even if you don’t know anything about Python. It’s certainly not easy to learn but you can pick it up fast by following these exercises. And if your goal is to work in machine learning then you’ll be even more excited to push through these lessons. From setting up your dev environment to building custom algorithms, this book has it all in spades. Finding the right book always depends on your skillset and what you want to learn. Python Programming is excellent for absolute newbies who don’t even know what programming is or how a compiler works. But if you want something a little more Python-oriented check out Murach’s Python Programming. It’s a lengthy title but it’ll take you from a complete novice to an adept programmer without much of a struggle. As your skills improve you might look into Fluent Python and Effective Python, both excellent resources to bring you into the intermediate-to-advanced rank. Either way this list should have more than enough for everyone so take another look and see what you can find!